Recognising the many problems faced by industry worldwide when it comes to providing the best personal protection for workers, the website provides a wide-ranging, easy-to-navigate directory of products, broken down against environmental and hazardous situations. 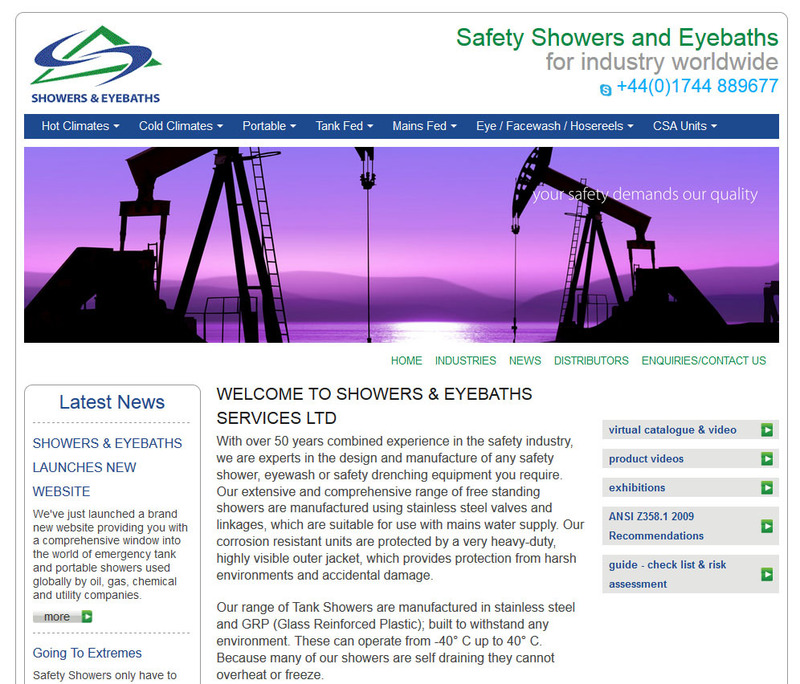 Operations manager Janet Dickinson said: "Our broad product range of safety showers and eyebaths enables us to offer solutions that are suitable for use by a diverse mix of organisations and climatic conditions – from arctic to extreme heat. "It can be difficult to know what product is best for a given situation. This is why visitors to the website will see that we are placing the emphasis very much on recognising these problems; providing solutions; and giving well informed data for businesses to be able to decide the best solution for them."